In addition to our many pre-packaged solutions, we offer custom combinations too numerous to be listed on our website. Every package that we sell can be made with nearly limitless combinations to meet your needs. 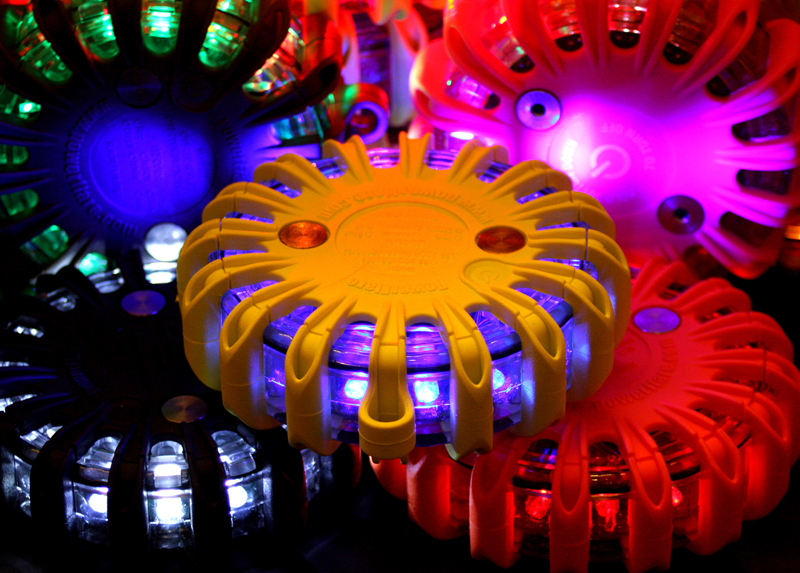 If you want a 24-pack with five different LED/Shell color combinations, we’d be happy to oblige. Three with magnets and the rest without? Absolutely. Contact us to order! We’ve custom made several customer-specific products, including a heavy-duty tethering system for our rechargable units. Our customer uses it to hold our units tight as they are dropped out of airplanes with cargo. Contact us with your custom needs, we’ve seen a bunch of great solutions, and we’re always happy to try and help with new ones! So basically, if you can’t seem to find what you’re looking for here, we can usually still provide it. Please contact us–we’d be happy to help figure out how to best meet your needs! © 2019 · PF Distribution Center, Inc.